SkinViva offers a range of specialist anti-ageing cosmetic treatments which provide real results in real time. More effective than over-the-counter creams but less invasive than surgery, their treatments are sure to impress you and leave you feeling and looking great. SkinViva’s philosophy is that looking great isn’t about looking young – it’s about restoring inner confidence while enhancing external appearance. From wrinkle-relaxing injections and dermal fillers to skin peels, Genuine Dermaroller and sclerotherapy thread-vein removal, SkinViva’s fully-qualified Clinicians offer tailored solutions based around your individual needs. Book now for a free consultation. Dr Tim Pearce is a fully-qualified doctor specialising in non-surgical aesthetic rejuvenation. 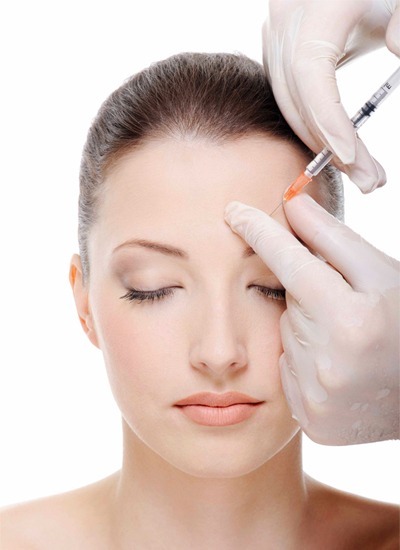 He has over 6 years’ experience in cosmetic medicine and has performed thousands of treatments. He founded SkinViva in 2008, which has expanded to offer a comprehensive range of non-surgical procedures, with services in 85+ locations across the North West as well as their own flagship clinic in the centre of Manchester. In 2013, he launched SkinViva Training, a skin treatments school for doctors, nurses, dentists and other medical professionals wishing to learn the correct techniques for administering anti-ageing injections. Dr Pearce’s artistry in creating effective-yet-subtle results is combined with a gentle, ethical approach. Never over-selling, he focuses on the client’s best interests, working not only to enhance their appearance but also to increase their self-confidence. Dr Pearce’s expertise in Botox, dermal fillers such as Juvederm ULTRA, Radiesse, Teosyal, Restylane, Beletero and skin resurfacing treatments has garnered him a loyal UK client base. SkinViva’s Botox® injections deliver highly effective results in reducing the signs of ageing by relaxing the muscles that create fine lines and wrinkles. Common areas for treatment include crows’ feet, frown lines, and forehead lines. A fully, qualified SkinViva Clinician will work with you to expertly create the look you want. SkinViva Clinicians use dermal fillers to reduce deep lines, replenish lost volume, and enhance volume and youthful fullness in the face and lips. Common areas for treatment include nose-to-mouth lines, mouth-to-chin lines, lip volume, tear troughs, and replacing lost volume or adding lift to the cheeks. This fabulous prescription only growth serum keeps the eyelashes in the first stage (‘Anagen’ stage) of the hair growth cycle for longer meaning they have more time to get longer, thicker, and darker. Results are seen between 2-4 weeks. Truly amazing results! Skin peels offered by SkinViva are a great way to chemically remove layers of damaged, fatigued skin from the face, neck and hands without the need for surgical procedures. SkinViva’s specialist skin peels can significantly reduce the effects of ageing skin, sun damage, acne, and hyper-pigmentation and help to reveal tighter, smoother, plumper and more healthy-looking skin. The results of Genuine Dermaroller™ can be dramatic in creating a smoother, younger-looking, glowing skin appearance and texture. Commonly used for problems such as acne scarring, ageing & sun damaged skin/lines and wrinkles, uneven skin pigmentation, and even stretch marks, Genuine Dermaroller™ Therapy™ uses micro-medical skin-needling to stimulate the skin in regenerating and repairing itself naturally and safely.